This article is by Alan Sears at the Alliance Defending Freedom foundation. It’s really surprising, sometimes, to find that what seem, at first glance, like “little” cases can ultimately have such far-reaching consequences. All Pastor Clyde Reed wanted to do was invite people to be blessed by worshiping at a small church he and his wife lead in their community. The church is too small, at this point, to have a permanent location, so Pastor Reed used to put out some small signs on the nearby streets to let folks know where the congregation would be meeting that particular week. The signs were only out on the weekend, and no bigger than what you might see on any neighborhood street, posted by a realtor, or promoting a political candidate or initiative. But that was too big, it turned out, to suit the town leaders of Gilbert, Arizona – the suburb of Phoenix where Pastor Reed lives and worships. Gilbert officials say signs in their town for churches can only be six feet square, although so-called “ideological” signs can be as big as 20 square feet, and political signs up to 32 square feet. What’s more, a church’s signs can only be displayed for 14 hours; political signs can be displayed virtually all year, and ideological signs indefinitely. Gilbert authorities twice enforced that code against the church (once confiscating a sign). Pastor Reed could be subject to monetary fines and even jail time if he continues to violate the code. For a small sign inviting people to church. That kind of discriminatory treatment – different rules for the same kinds of signs, depending on what they say – violates First Amendment protections of free speech … which is how ADF Senior Counsel David Cortman came to be representing Pastor Reed at the U.S. Supreme Court on Monday, January 12th. The case of Reed v. Town of Gilbertwas already presented at the U.S. Court of Appeals for the Ninth Circuit, where, in a split decision, judges ruled that local governments can impose stricter restrictions on temporary church invitation signs than they do on other temporary, non-commercial signs. ADF is appealing that decision. As small as the whole matter may seem, some nation-shaping questions are at stake. One, whether a government has the power to determine the First Amendment value of speech. At the lower court, the town argued that the church’s religious speech was less valuable than political and ideological speech, and could therefore be more heavily regulated than similar signs. 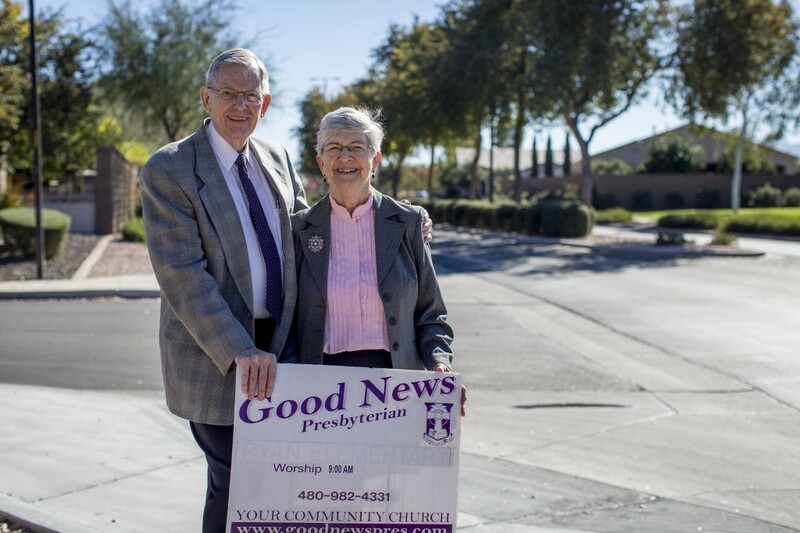 In fact, Gilbert officials assert that the Church’s signs are so lacking in value that they could be banned altogether without violating the First Amendment. If the High Court buys that argument – that government officials have the power to rate, then regulate, or even eliminate speech they deem “less valuable” – then no speech is safe in any context, religious or otherwise. Two, whether a free speech plaintiff (be it a person or a church), in order to win their case, must prove not only that his speech was treated differently than other, similar expression … but that the difference in treatment was deliberate. Unequal treatment by itself should be enough, but the lower court required proof of discriminatory motive as well – and by its very nature, discriminatory motive is notoriously hard to prove. (Government bureaucrats can usually offer benign-sounding reasons to justify their speech discriminations.) Bottom line: requiring proof of motive reduces the scope of the First Amendment’s protections for all speakers by making it easier for the government to avoid responsibility for violating the First Amendment. So, the implications of this case reach far beyond the membership of one small church in one small town in Arizona – far enough to impact you and your family and your place of worship, too. Please be in prayer for the justices of the Supreme Court, as they consider the arguments our attorneys have presented. Pray that they will not only give Pastor Reed the freedom to post his church’s signs, but that they will deal with and strongly affirm the deeper free speech issue, by ruling that those injured by illegal infringements on their speech need only prove unfair treatment, and not the motive for that treatment. Just because there is a temple in Gilbert, that doesn't mean the majority of the city council is LDS. Given the discrimination against this little church, I would certainly hope not. Maybe everyone needs to write letters to the Gilbert City Council. I know that there are a lot of LDS people in Gilbert. A temple was just dedicated there. When that happens the adversary works a lot harder to thwart the plans of God. Agency is one of the greatest gifts our Father in Heaven has given to His children. I would imagine the majority of the city council is LDS and that is disturbing. Whatever happened to love and tolerance? When in the midst of great persecution, both from within and without the church, Joseph Smith penned these inspired words: "We claim the privilege of worshiping Almighty God according to the dictates of our own conscience and allow all men the same privilege, let them worship how, where and what they may." It seems to me that the lawyers, lobbyists and special interests have taken it upon themselves to interpret everything to suit their own twisted desires. It is time we as freedom loving members of the Church of Christ stood up for what is right and true. Apathy is a weapon of the evil one. Stand for truth and defend those who cannot defend themselves. If we do not stand for something we will surely fall for anything. Let the spirit of Captain Moroni ever pervade our thoughts and actions.